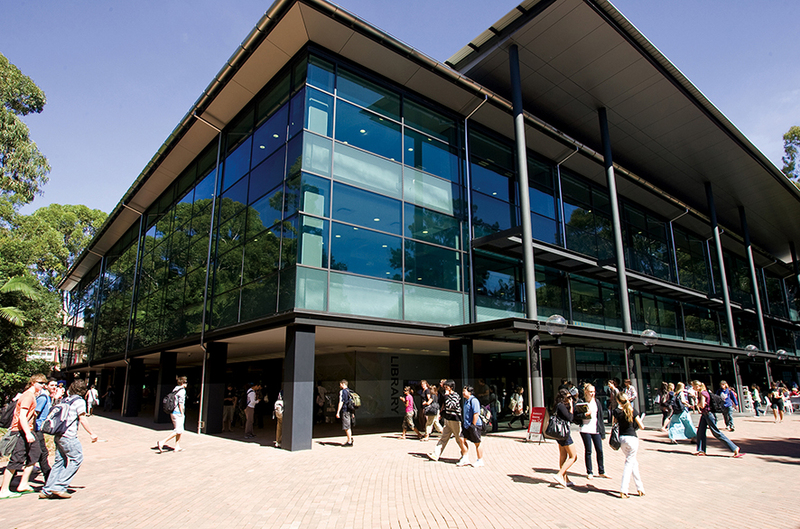 The University of Wollongong Library’s Panizzi Gallery hosts a number of specialised exhibitions and events throughout each year, supporting the social, cultural and intellectual life of the University. UOW Library exhibitions include collaborative undertakings, both within and outside of the UOW community, often promoting specific UOW Archives and Library collections. This program also provides opportunities to hear expert presentations and participate in hands-on workshops. The greater Library building features works donated to the UOW Art Collection by artists or major Australian collectors and through direct purchase. Substantial groupings of painted and sculptured works by Guy Warren, Ian Gentle and Bert Flugelman are a feature. These three major Australian artists have long, close and warm associations with the University and the Illawarra region. Other works represent a range of established and emerging Australian artists and incorporate painting, printmaking, photographs, textiles and sculptures. The large number of lithographs, linocuts, etchings, woodcuts and screen prints reflect one of the specialisations of the UOW Art Collection.